CMH opened a new dialysis center Monday, July 8, 2013 to give patients improved access to dialysis services. Located in the South Plaza building on the CMH hospital campus, the dialysis center has six-stations, and offers a spacious waiting area and ample parking. Dr. Fadi Bedros, owner of My Kidney Center in Manhattan, Kansas, will operate the dialysis clinic. Until now, there was no local dialysis center for patients living in or around Marysville. Now with the opening of the new dialysis center, CMH is able to provide the local community with much needed dialysis services. 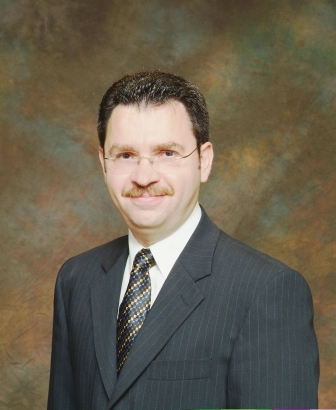 Dr. Fadi Bedros serves as the consulting nephrology specialist at CMH. A referral from your primary care physician is necessary to see Dr. Bedros. "The new dialysis clinic gives hope and peace of mind for our patients, their families, and caregivers," says Curtis Hawkinson, CMH hospital administrator. "Patients and their caregivers often spend countless hours driving to and from dialysis centers every week and several hours undergoing dialysis. Before, the closest center was over 45 minutes away. By providing this dialysis center to our community for the first time, we hope to make the process a bit easier on our patients and their families." For more information, please contact Dr. Fadi Bedros, My Kidney Center, 1133 College Avenue, Building B, Suite 100, Manhattan, KS 66502-2770. The phone number is (785) 565-9500 and the fax number is (785) 565-9595.